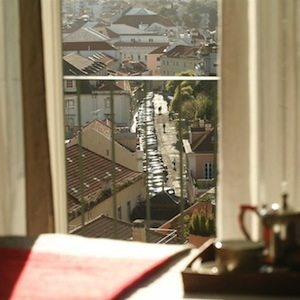 If you understand basic Portuguese, you’ll already have a fair understanding of what Casa das Janelas com Vista, located in Lisbon’s Bairro Alto neighborhood, is all about. Who could say no to the house of windows with views, located in the high neighborhood? It’s basically a postcard come to life: steep cobblestoned streets laced with old streetcar tracks and colorful townhouses, the glow of antique street lamps illuminating the vintage cars that chug up and down them, Gothic ruins and rust-colored roofs and a still river in the distance. It’s almost enough to distract you from the adorably quaint but coolly modern interior of the hotel itself. 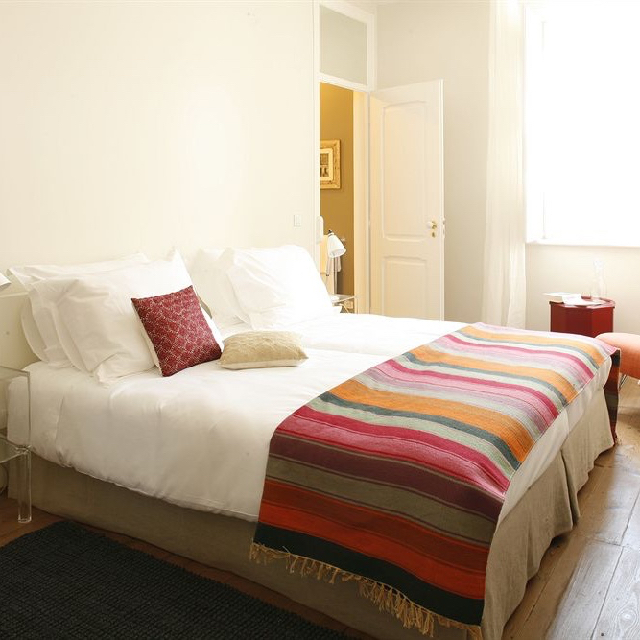 Except for one important detail: by the time you get back to the Casa das Janelas com Vista, after hours of hiking around the 16th-century working-class quarter that’s now one of the city’s primary tourist attractions, you’ll be ready to take a load off. Perfect: the house, with its corrugated facade and smartly recycled interior, features a cozy-chic living room that’s straight out of your dreams. 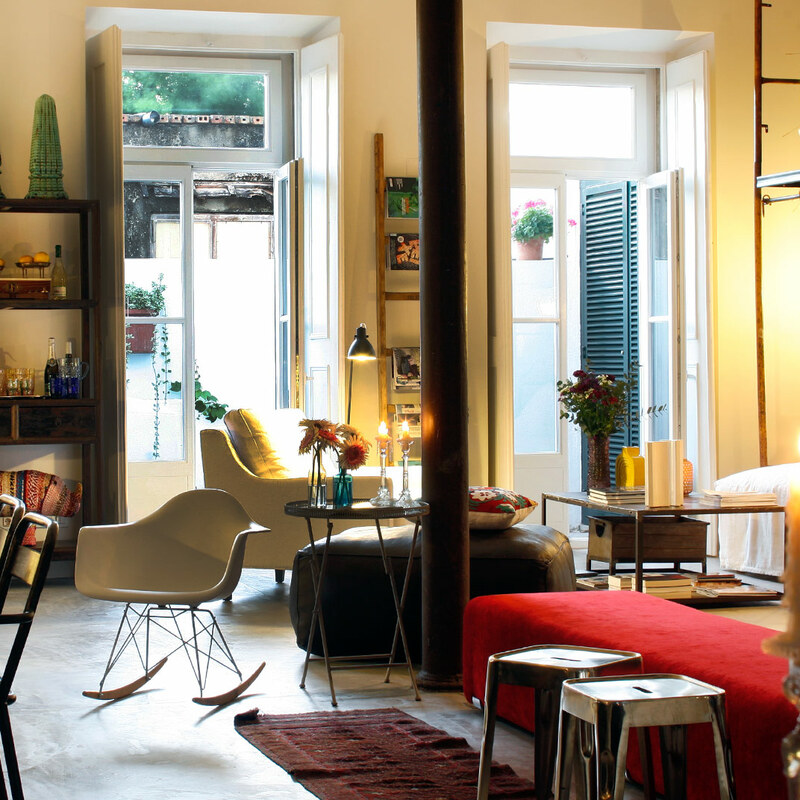 It’s warm but stylish, like a mini design museum where each piece, from a molded rocking chair and a leather ottoman to antique silver candlesticks and a modern light installation made with postcards of old Chinese paintings, looks carefully selected for both comfort and visual interest. The same could be said of the decor in the house’s dozen guest rooms. They’re individually decorated with one-of-a-kind objects: a velvet loveseat here, a hand-painted wood armoire there. 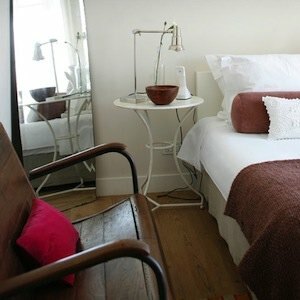 Across categories, some features are standard, like parquet floors, updated bathrooms, and complimentary wi-fi. Superior rooms feature private balconies with views over the water. 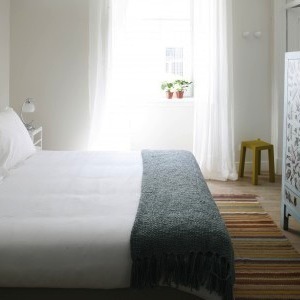 Standard rooms are fairly tiny, with affordable prices to match. Which seems fitting: this is a real house, after all, in one of the city’s most notoriously cramped historic quarters, not some kind of airport Sheraton. The open kitchen, with its sleek stainless steel appliances and half-dome lamps suspended over a rustic wooden table, is an inviting venue for morning coffee. Coffee, it might be noted, that’s served in hand-painted porcelain cups and saucers traditional to Portugal. Go ahead, have another freshly baked pastel de nata — a tart-like pastry invented in Lisbon — you’ll burn off the calories while huffing and puffing up the the nearby hills.